KidsEBookBestsellers.com: E.G. Foley Found Double Success in the Kindle Store. E.G. Foley Found Double Success in the Kindle Store. 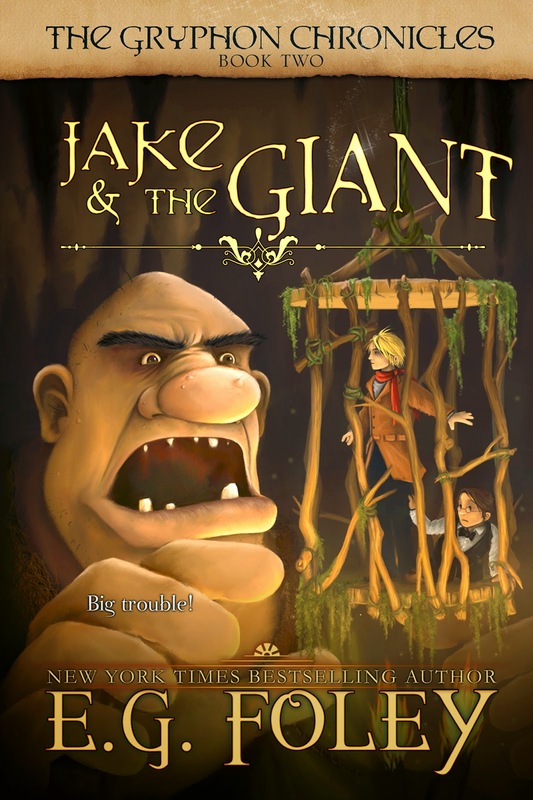 On Saturday, February 22nd, The Lost Heir and Jake and the Giant hit the number 2 and number 3 spots respectively in the Children's and Teen section of the Amazon Kindle store. These books are by Eric and Gail Foley, who write together under the name E.G. Foley. Both books are part of Eric and Gael's Victorian-set fantasy adventure series, The Gryphon Chronicles. 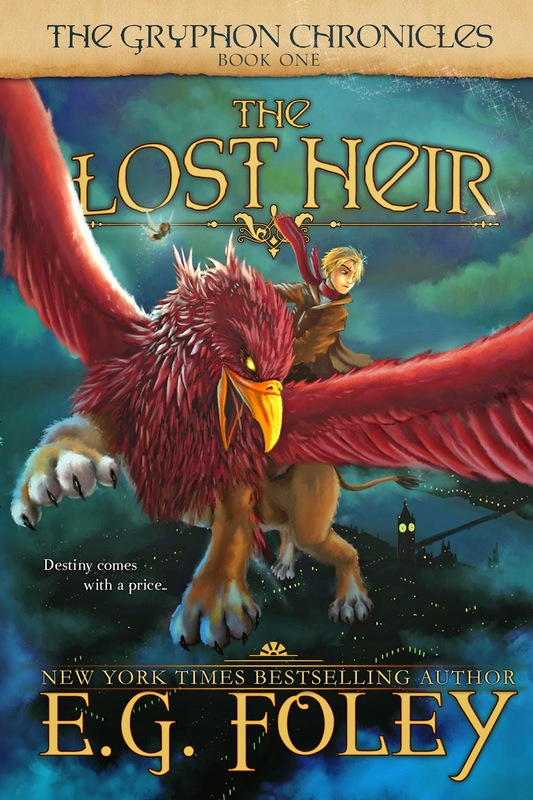 Gael joins us to talk about the first book in the series, The Lost Heir, and the e-format success of The Gryphon Chronicles, which they published independently. First, please tell us what your book is about. THE LOST HEIR (The Gryphon Chronicles, Book 1) is about Jake - a spunky, orphaned pickpocket, age 12, living by his wits in Victorian London. Jake can't figure out why he has suddenly started seeing ghosts everywhere or why he is suddenly able to move solid objects with his mind. But when a sinister earl and his henchmen comes hunting him, Jake has to run for his life. As the danger unfolds, he learns that he is the long-lost heir of an aristocratic family with magical powers--and that the adventure has just begun. 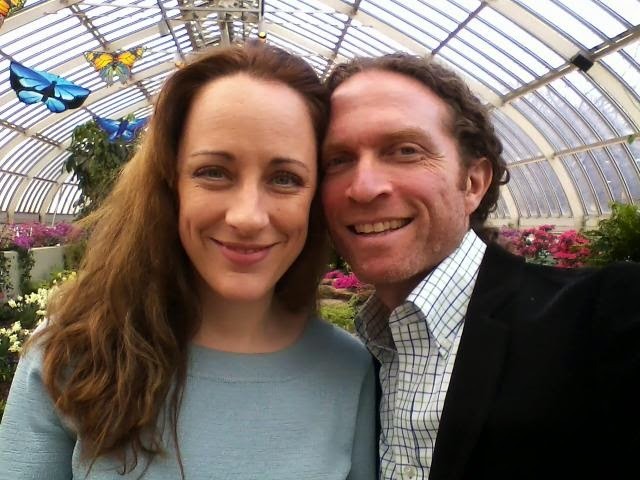 We are a husband-and-wife writing team. Eric is fairly new to writing, but I (Gael) have been traditionally published by Random House and HarperCollins in the US since 1998 (19 novels in the romance field to date, with #20 coming out this summer.) So I have a lot of experience in the traditional publishing world. Due to my deadlines for my adult fiction, I didn't dare take on another round of deadlines with another publisher, so when Eric and I started writing together in the middle grade fantasy genre, we never even submitted the Gryphon Chronicles to any publishing houses. Maybe we'll try that route with a future series, but for now, we love the creative freedom and control of independent publishing. That said, I'm not sure I would've been brave enough to try it if I didn't already have so much experience in publishing, as well as a lot of contacts who were already venturing into indie publishing to great success. Various author friends and colleagues helped me find resources like good freelance editors and cover artists. I now know this was definitely the right choice for us, especially since I came into it with a strong platform and a large readership base of romance fans who are moms and grandmas, i.e. the main book purchasers for the kids in their lives. We got picked for a Kindle Daily Deal, I'm not really sure why! LOL. I think the Amazon system must have noticed that our sales have jumped dramatically from book to book, and they just saw an opportunity to promote a product that they felt a sizable number of their customers would enjoy. Because of that promotion, The Lost Heir went to #26 on all of Amazon e-books, and became the #1 Children's e-book for about 48 hours or so. We are very grateful for the exposure. We really do our best to create books that all ages will enjoy, from kids to grandparents. Our target audience is broad-based, all-ages and both genders - what Hollywood calls a Four Quarters audience - male, female, young, and old. Basically anybody who likes a swashbuckling sort of PG-rated fantasy adventure, with a dash of scary and a good dose of funny. I think, though, that there is a particular audience that would benefit most from our books, and that is children who are advanced readers, but who are still young enough that parents want to find "clean, wholesome" reading material for them. I would not have predicted the resistance that we get when we try to encourage writer friends to look into indie publishing as a real, viable career option. I don't know why they don't want to listen. I have been on the inside of Big 5 Publishing for over a decade, have had many books on the New York Times and USA Today list, and am published in 17 languages, but they still look at me like I don't know what I'm talking about. Do the math, people. Writers never want to do the math. There is a serious benefit to retaining control of your IP (intellectual property) rights. Gael: I write every day from about 7:30 AM to 2PM and then do all the other business related work in the evening, which is when Eric has his writing time after he gets home from his teaching day at school. Whatever makes life easier for the readers is what matters most to us. As readers, we both LOVE being able to instantly download any book we want without having to special order it or drive around to different bookstores trying to find it or pay for shipping and wait a week. It's instant gratification. I still value print books, (indeed, that's why we also offer our books as POD trade paperbacks) but I like the fact that ebooks kill less trees. In the paperback world, publishers purposely print many, many thousands more copies than they ever hope to sell so that they can have those big, impressive stacks of books at the front of bookstores in the hopes of drawing the customers' attention. But half of those books end up getting destroyed. It's a REALLY wasteful process. Eric attended an educational seminar at his school once where learning specialists shared the results of a study which suggested that reading comprehension is increased when readers can do two things: Enlarge the font size so there's more white space on the page, and change to a sans serif font. Reading on an e-reader allows you to do both of those things, so what that says to me is that e-book reading is beneficial, particularly for kids who are usually reluctant readers. Furthermore, the dictionary function of an e-reader allows a kid to instantly find the definition of an unfamiliar word. So, they are building their vocabulary in the most painless way possible--while enjoying their entertainment. Thus, there is no need now for any writer or publishing house to do the child the terrible disservice of dumbing down the language. For all these reasons, we see ebooks as a win-win, and indie e-books as an additional win because they are more reasonably priced. But the difficulty, as always, is discoverability. Learn more about Gael and Eric at their website and see all the books in their series at their Amazon author page. Don't forget to have a look at the updated Kids' EBook Bestseller List for more interesting authors and their top ten books for children and young adults.